Hello there, I wanted to rescue some of my old MySpace blogs and archive them here on my own site. Over the next few weeks I will retroactively chronicle a particularly colourful period exactly two years ago. 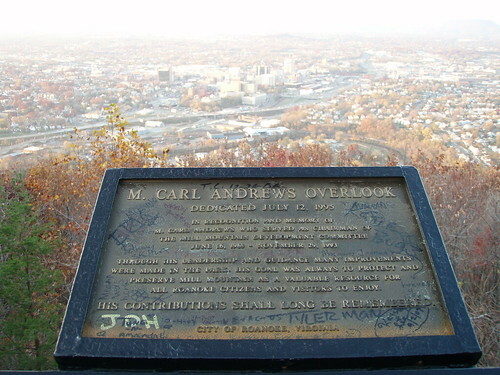 This was originally posted on November 20th, 2007. So am very sleepy after a supposed 4 hour drive took over 8 hours. Truth be told I did waver off the GPS quite a few times, freeways get a little samey. Listened to some 125 songs on my IPOD in the process. 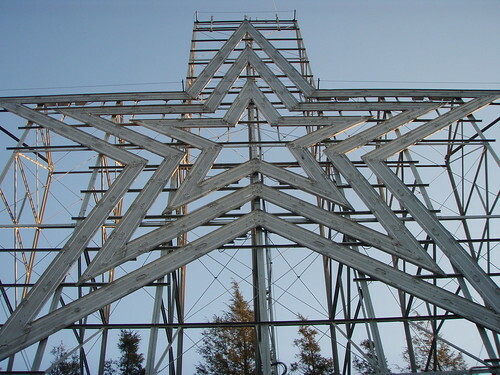 It was quite surreal driving in the dark morning in Pennsylvania listening to Boards Of Canada. The red and golden autumnal colours in Virginia are quite beautiful. Of course I didn’t take any snaps of that. Just random signs in Delaware and Maryland on the way to Roanoke. 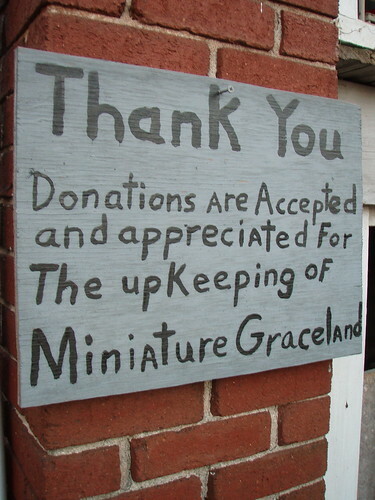 …and also see Miniature Graceland. May not bother with the real one now. 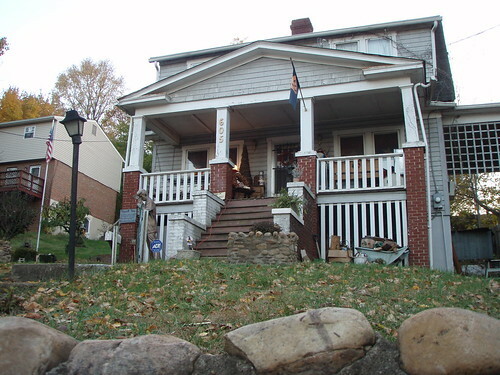 And that was pretty much it, apart from a quick stop in Mill Mountain Coffee and a chatty bartender in Eric’s. Plus a lot of bemused looks all day. 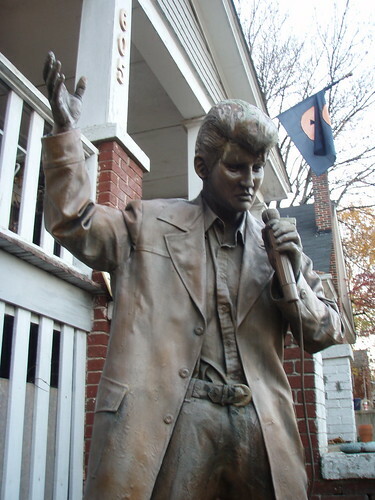 Onto Asheville, NC tomorrow – by way of Blue Ridge Parkway. Can’t wait. P.S. Please note that you cannot give me sightseeing suggestions for a past road trip. Unless like Steven Wright you believe that you could go back in time if you put instant coffee in a microwave. I remember when you locked your keys in your car and if I’m not mistaken with the car running. I cant wait to reread that blog. I remember when you locked your keys in your car and if I'm not mistaken with the car running. I cant wait to reread that blog. Edgar, in case you haven't heard it, listen to the cover of 'Lay Lady Lay' by Magnet featuring Gemma Hayes. It's quite lovely. Hahaha. 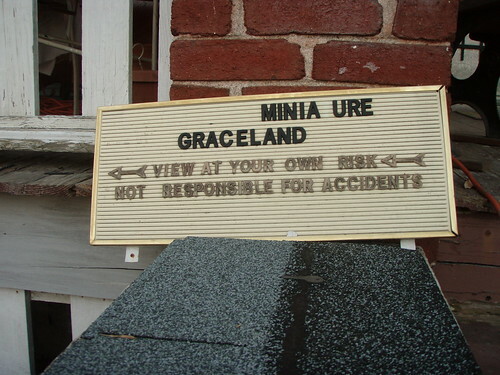 Miniature Graceland! I remember these pics! Boards of Canada are simply amazing. Perfect driving music. 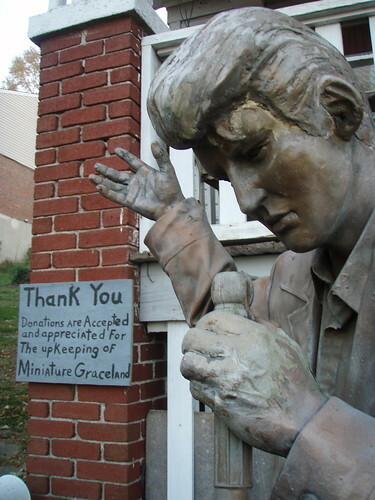 Still haven't seen mini Graceland or the original…. I love the gate! 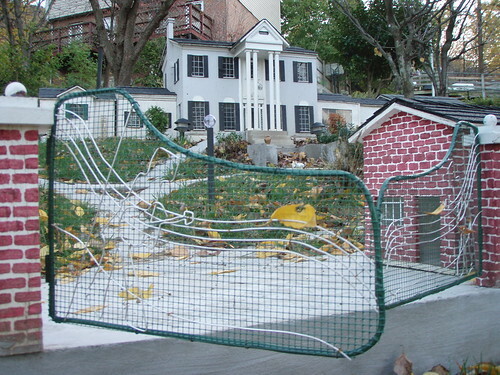 We Southerners certainly know how to make something even trashier than the original!